I have said it before, and I will say it again. I like Brown's books because they are sweet. There is always good banter going on and it makes me want to visit where they are and have some pie or something. In this one, Deke meets Josie. 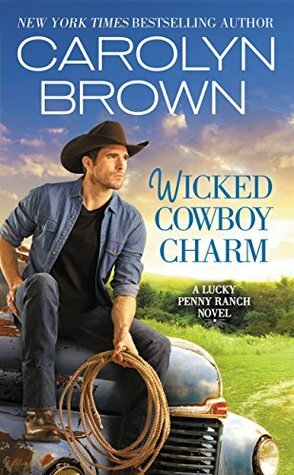 She is staying with her brother, she has plans, and they do not include a wild cowboy who flirts around. But destiny does have a way of making own plans. Like having them stranded in a snowstorm, just the two of them, well and a dog and an old man. For days. I did like how they got to know each other. They still fought that attraction, but ha, you can try it, but you will fail. You could see they would fit well together, they just had to get there in their heads first. But it made for an interesting journey, even if the first half was being crammed together in a bunkhouse. As always then, a sweet romance with a good couple, and a great side characters. I have a book by her, I need to try!